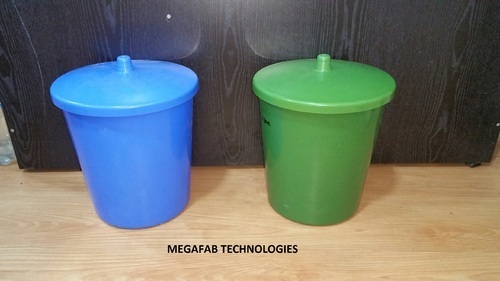 Established in 1985, we “Megafab Technologies” are a renowned manufacturer, and exporter of high quality Industrial Products. Our offered products are Trolley Products, Furniture Items and Portable Products. These products are designed and manufactured under the supervision of adept professionals using quality tested raw material as per the ongoing market trends. The offered products are available in different sizes, designs, materials as per the needs of the clients. The entire collection is appreciated for perfect finish, corrosion resistance and durable finish standards. We are also provide the Structural Fabrication Work service to our clients. Situated at Mumbai (Maharashtra, India), we have established modern infrastructure that is alienated into various sections to manage the entire business process in an organized manner. This unit is installed with various latest machines and tools that help us to manufacture world class products in an efficient manner. Being a quality centric firm, we ensure our offered products are stringently tested on various parameters. Moreover, we have team of adept professionals who works round the clock to attain maximum clients’ satisfaction. Their proficiency in the domain helps us to be top in the market. With the help of our modern infrastructure and skilled team of professionals, we have become a renowned entity in the domain.